Project Description: I’ll give you a brief history on my relationship with Arum. She found me by doing a Google search for SEO specialists in the Atlanta area. She wanted me to improve her search engine presence for her Top Dollar Interiors website. At the time, I was only providing web design and web hosting services, but I decided to take a stab at it. Over the next few months, she went from being unseen on Google to being on the first page of her city for the keywords “interior design” and “home staging” on Google. Although those two keywords aren’t the most competitive keywords, she gets leads from those keywords. A few years later, Arum decided to contact me again for business. 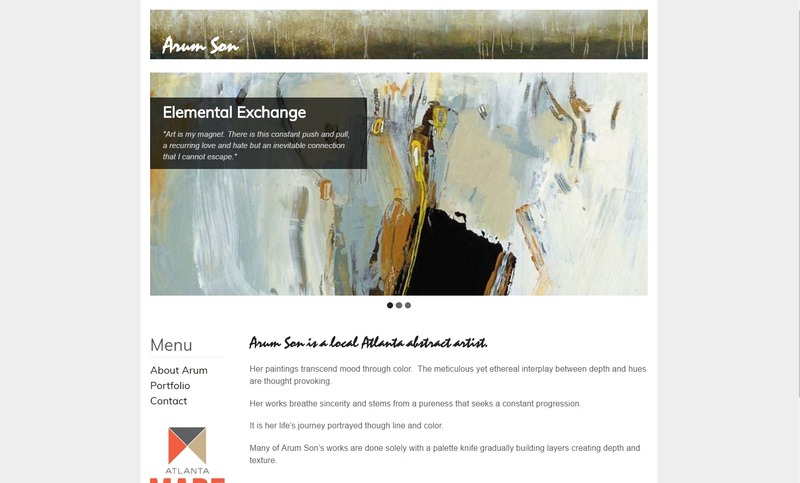 This time, she needed a website to showcase her paintings. Arum really wanted to have some input into the design process, so I allowed her to work side by side with me on most of the project.